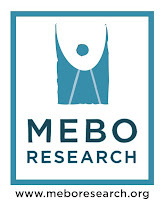 we are most grateful to Dr. Irene Gabashvili, PhD, for overseeing MEBO Research's exploratory trials. She brings with her years of experience in biomedical industry and academia. Dr. Irene is the founder of Aurametrix, which she continues to develop as she works very closely with the MEBO community to address our needs. She heads the MEBO directorship as we explore new groundbreaking research possibilities in an effort to develop accurate diagnosis, treatment and a cure to the various types of body and breath odor conditions. Throughout her career, Dr. Gabashvili has been interested in the molecular, cellular, and physiological mechanisms of health and disease. She developed models and data analysis approaches and experimentally studied physics of microbial infection, chemistry of light and radiation effects on living matter, plant enzymes, structural basis of antibiotic resistance, human pathologies dependent on variation in mitochondrial genes, development of sensory apparatus and aging, and inheritance and environmental factors contributing to the development of diseases. Dr. Gabashvili was overseeing exploratory trials and data mining studies in the past, working with medical doctors and supervising MD students. For example, she studied analysis of blood biomarkers to determine patterns of longevity at the Center of Genetic Ecology. She worked in microbiology, molecular biology, biochemistry and biophysics labs and was utilizing state-of-the-art techniques and instrumentation to characterize macro- and micro-molecules causing or protecting from disease. She continues to collaborate with experimental labs, in particular employing novel chromatographic and mass spectrometry approaches to identify disease biomarkers. Dr. Gabashvili has developed software tools and IT infrastructure to support research and clinical processes. She worked with and for Hewlett Packard, Merck, Pfizer, Johnson & Johnson, Novartis, etc. Her academic partnerships include renowned scientists and clinicians from Stanford and Harvard Universities. Dr. Gabashvili demonstrated a concerted interest in applying her wealth of knowledge to MEBO's research aims for the betterment of our community. She is especially interested in clinical nutrition and the complex relationship between the human immune system with trillions of microbes populating human beings. You can contact her directly by e-mailing to Irene at Aurametrix.com. See Slideshow presentation "Microbes and Us"